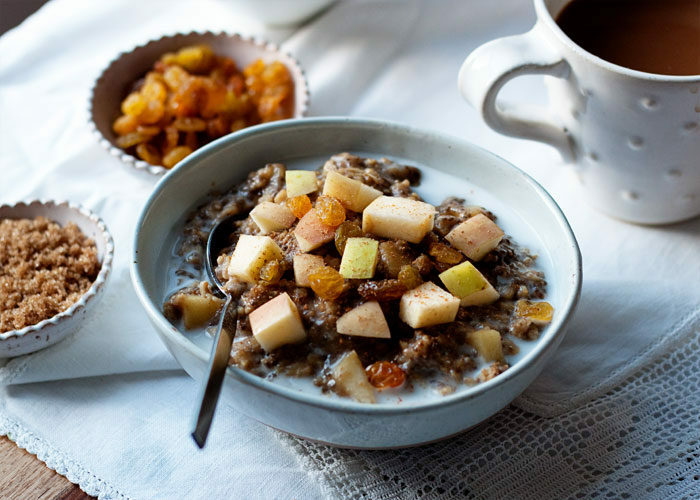 Creamy oats paired with sweet apple and heady gingerbread spices. 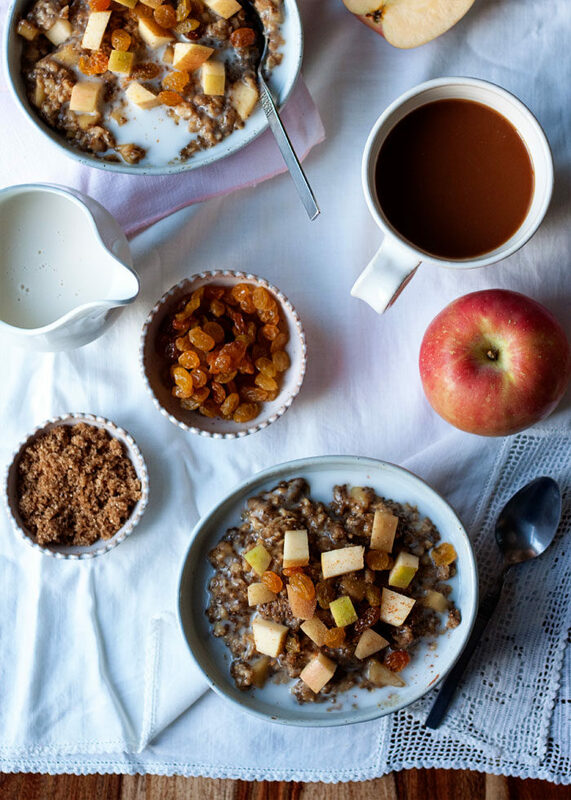 What could be better in a comforting autumn breakfast? I’m totally obsessed with this new oatmeal recipe. I just had it for breakfast and I want it for lunch and dinner and second dinner and pre-breakfast and then breakfast again. Okay, maybe that’s a bit overboard, but seriously, I’m really really into this oatmeal. 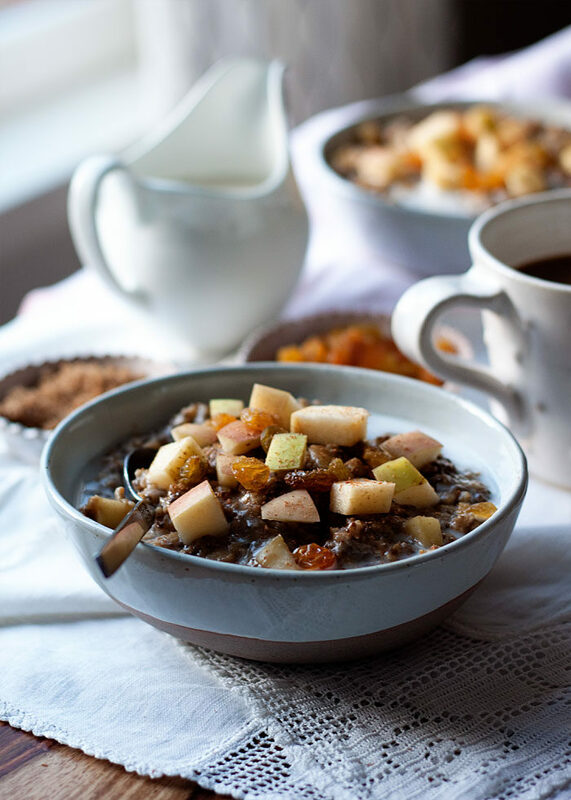 I knew that apples + gingerbread would marry well, with gingerbread’s cinnamon, ginger, nutmeg, and cloves all pairing so well with the fall’s favorite fruit plus hello, the rich warm envelopment that molasses lends to the whole equation. But I didn’t want to go overboard, because gingerbread can get there fast – and who wants to be whapped in the face first thing in the morning? Not me. 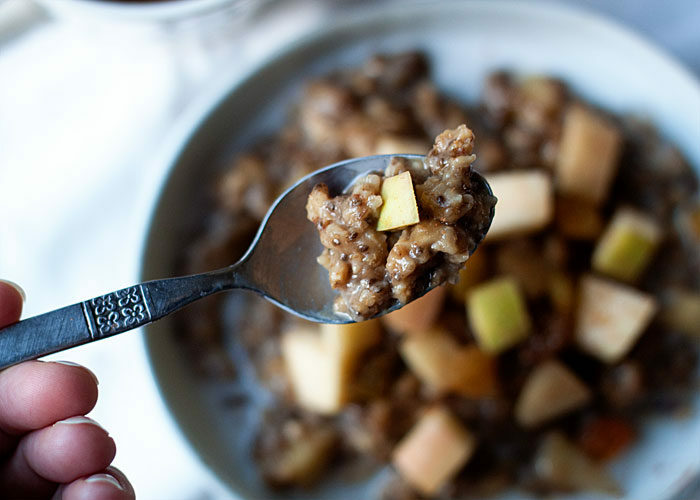 This Cozy Apple Gingerbread Oatmeal recipe is subtle and quiet and steady. 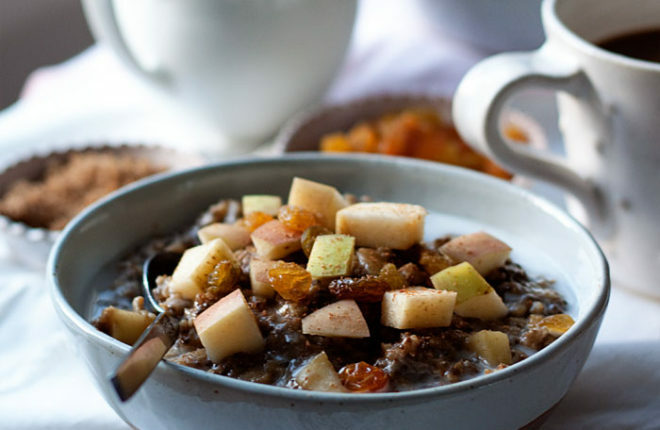 Oats, slow-simmered with a hit of almond milk to give it a perfectly creamy consistency. Chia seeds add to that creaminess, not to mention the health factor. Sweet bites of apple. A whisper of spice and molasses. Basically, autumn in a bowl, man. Autumn in a bowl. Place a medium saucepan on the stove; don’t turn on the heat yet. Place all ingredients in the pan (except for toppings), stir to combine, and then turn the heat to medium. 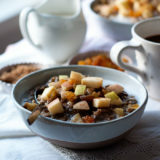 Bring to a slow simmer then reduce the heat to medium-low and simmer until thickened and the apples are soft, about 10 minutes. Use cow’s milk instead of almond milk.